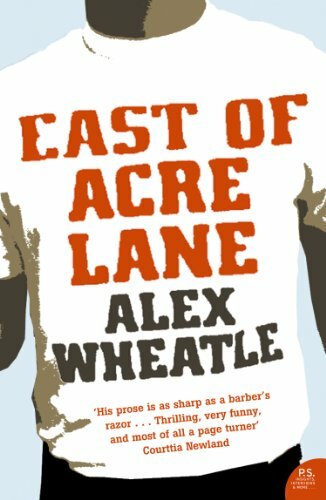 East of Acre Lane is the fast-paced and razor sharp story of a young man trying to do the right thing and establishes Alex Wheatle as the exciting new voice of the urban experience. When East of Acre Lane was first published in 2001, Alex Wheatle instantly became one of the key commentators on contemporary black culture and was featured in BBC news, radio, numerous papers and Channel 4. The BBC have already optioned ‘East of Acre Lane’ to be made into a film. Set in 1981, the year of the Brixton riots, the novel is a gripping thriller in a society on the edge of explosion. Wheatle focusses on Biscuit and his posse as a way to introduce the whole community. Biscuit lives with his mother, brother and sister. He helps out by hustling on the frontline for the south London badman, Nunchaks. He doesn’t want to be doing this for the rest of his life but it’s difficult to get out of the trap. As the patience of the community breaks and the riots begin to erupt, Biscuit has to make a choice that could change his life forever.